Lease or buy? The eternal question. At some point, this is a decision every fleet manager may face. The hard reality is that the process is never easy and often depends on a number of factors (your goals, budget and size). While we can’t make the decision for you—you know your fleet best—we’ll guide you through the benefits of each option and some tips to keep in mind moving forward. First, let’s consider the benefits of leasing. Leasing is similar to renting a vehicle but instead of using the vehicle for a few days, it’s for at least one year. More technically, leasing is paying for the use of a vehicle instead of paying for the asset itself. Open-end leases: This type of leasing agreement starts with a minimum lease term (usually one year) then permits additional month-to-month leasing options at your preference. At the end of the leasing agreement, you may choose to sell the vehicles. If the sale generates a greater profit than the vehicles’ predetermined value, the lessor may be required to pay you the difference. On the flip side, if the sale is less than the value of the assets, you are required to pay the difference to the lessor. Closed-end leases: This is a fixed term leasing agreement with fixed monthly payments. You cannot cause excess wear and tear on the vehicles or exceed a predetermined mileage limit. If you do either of these things, you must pay a penalty. If you do decide leasing is best for your fleet, this article can help guide your decision on whether open-end or closed-end leases are best for your fleet. Now, let’s consider the benefits of leasing vehicles. Leasing agreements have lower monthly payments than purchasing vehicles outright. So, your company is able to preserve capital compared to owning vehicles. You can get newer fleet vehicles without negotiating the budget and company executives can apply that capital to other areas instead like core business functions. It’s a win-win! Leased vehicles enable you to visit the repair shop and gas pump less often. No joke. Since leased vehicles are typically new models, they have fewer maintenance needs (outside of preventative maintenance) and better fuel economy. As a result, your fleet can have greater vehicle uptime, lower maintenance expenses and lower fuel costs compared to your older fleet vehicles. When St. Lawrence County in New York decided to lease its fleet of 24 vehicles, they cut their maintenance costs from $30,000 to $2,000 per year and fuel costs from $50,000 to $25,000 per year! Some lease agreements may even include maintenance options. This can reduce the total cost of ownership of vehicles by 10 to 20 percent. Buying vehicles is a major capital expense that impacts your debt-to-equity ratio and makes your company appear less attractive to lenders or investors. Leasing on the other hand is not as major an expense and can usually be treated off the balance sheet. How often do you typically replace your fleet vehicles? For leases, the average term is three years. Imagine having the option to replace vehicles every three years—or however long your lease term is. There is less liability and cost with leased vehicles, allowing greater flexibility in switching from one vehicle to another. Did someone say less paperwork? With a vehicle lease comes less administrative tasks. Since you don’t own the vehicles, your company name is not on the title, registration or property taxes owed. Tasks like tag and license renewal, payment of title retention and property taxes and so on are up to the leasing company. Leased vehicles are usually new vehicle models—several benefits come with this such as the latest vehicle technologies and safety features, fewer maintenance issues and better fuel economy. In customer facing industries, newer vehicles can portray an image of success. Leasing sounds pretty solid, huh? Well, buying vehicles may typically be more expensive (at least initially) and require keeping your assets longer than leasing, but there are advantages over leasing as well. Most of us are familiar with the process of buying a vehicle. Let’s consider the associated benefits. The world is your oyster. Vehicle owners are not subject to mileage or wear and tear limitations as with leases. 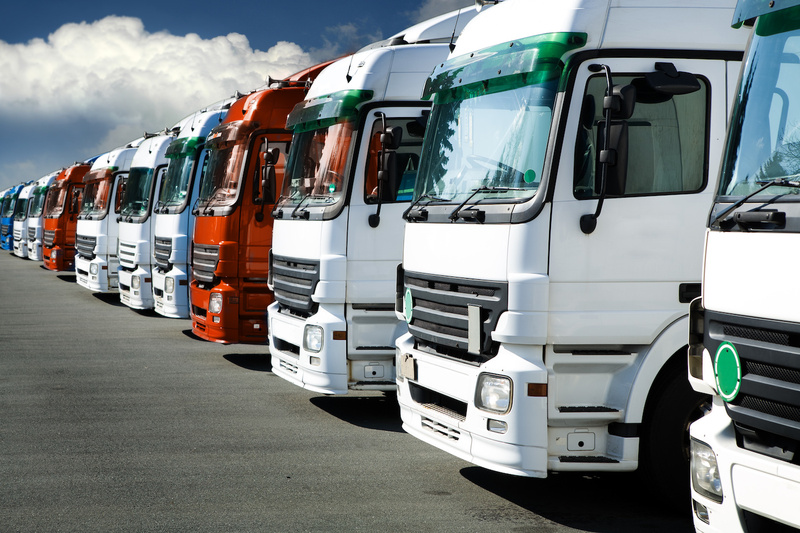 The distance your fleet travels annually is solely up to you and your company. Unlike with leases, you are not restricted to keep vehicles for a certain time period. 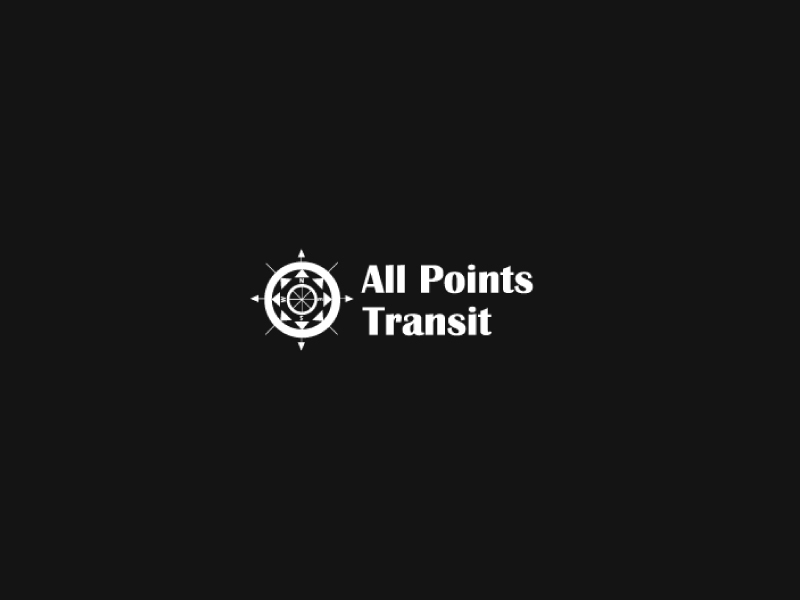 You can drop a vehicle from your fleet whenever with no additional penalties. Save big bucks. If your fleet sends referrals or continues to purchase vehicles from a certain dealer or company, you may be able to negotiate lower vehicle prices for future business. Also, small to medium sized fleets purchasing vehicles from large national fleet dealers may be able to receive enterprise-sized fleet pricing. 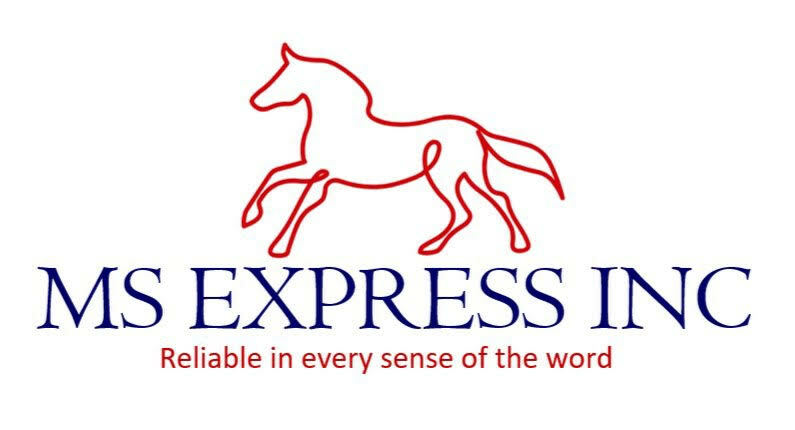 The depreciation benefits of purchased vehicles stay with you, the owner, unlike in leasing! The value of your vehicles will depreciate over time but the deductions can be used to help offset profits. In leasing, the depreciation benefit remains with the lessor (the leasing company). Depreciation of your vehicles’ value is one of the largest fleet costs. The good news is that as vehicle owners you have more control over this number. While leasing companies resell their vehicles in bulk, you can sell the vehicles individually and likely end up with lower net depreciation. Vehicles gain equity over time. Ideally you’ll gain positive equity meaning the amount your fleet owes for your vehicle is less than it’s worth. You can then reinvest that positive equity back into your company. With leasing, any earned equity remains with the lessor. 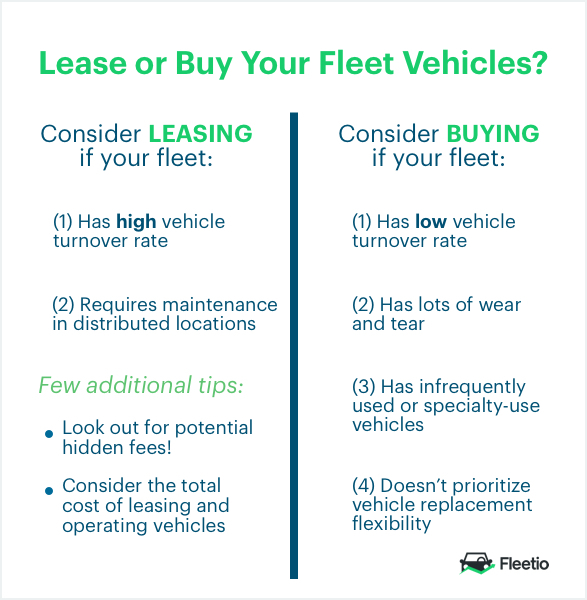 What's one reason your fleet leases or buys its vehicles? Comment below!